"… What triggered an overall review of the foreign lawyers’ regulatory regime in 2016 were the strong concerns expressed about some registered foreign lawyers practising Hong Kong law and holding themselves out to do so in their official websites. It is in the public interest that only competent, qualified and admitted persons should practise Hong Kong law in Hong Kong. The proposals aimed at clarifying this principle and nurturing a strong local legal profession while maintaining an open door policy." It appears that one of the main drivers to the Law Society's consultation on proposed amendments to the foreign lawyers registration rules is a concern that some foreign lawyers are disregarding the fundamental principle that only locally qualified lawyers can practise and advise on Hong Kong law. This is a legitimate concern and not a new one. The fact that reference was made to this issue in the President of the Law Society's speech is testament to its importance. The consultation period closed on 31st December 2018 and it is understood that the submissions (of which there appear to have been many) are being reviewed. The consultation process and conclusions will be viewed with much interest in Hong Kong and in the many jurisdictions (approximately thirty-four) whose registered foreign lawyers advise on private and public international law, conflict of laws and foreign laws in Hong Kong. In the meantime, foreign lawyers and their employers and supervisors would do well to have regard to the regime for foreign lawyers in Hong Kong. To practise as a foreign lawyer in Hong Kong (either in a local firm or in a registered foreign law firm) that person has to be registered with the Law Society. A foreign law firm practising in Hong Kong also has to be registered. Disciplinary proceedings are taken against foreign lawyers alleged to be in breach (for example, see "Disciplinary Decisions", December 2018: In the matter of von Ortenberg, a former Registered Foreign Lawyer). 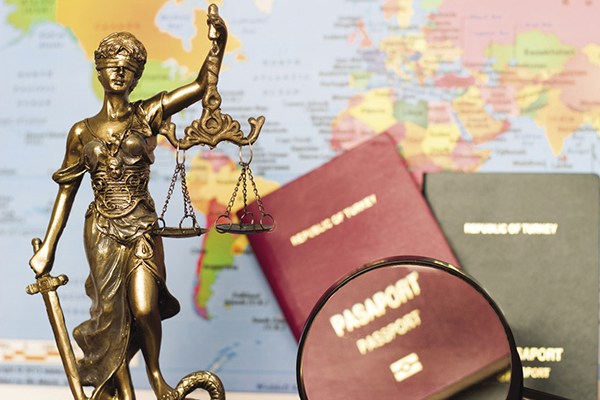 On applying for registration as a foreign lawyer, an applicant undertakes (among other things) not to offer any legal service which is customarily provided by a local solicitor acting as such. That is a personal undertaking, breach of which is a serious matter. A foreign lawyer in breach also risks being let go by their firm. It is also not unknown for the Law Society (acting in the public interest) to intervene in the practice of a foreign law firm in Hong Kong. ensuring foreign lawyers do not sign correspondence in the course of the professional practice of a firm of solicitors. In limited circumstances, a foreign lawyer may sign correspondence, provided they are properly authorised by the firm. An "approved signatory" can include an employee who is a foreign lawyer, provided the correspondence relates to a matter within their competence. All correspondence in the course of the professional practice of a firm must comply with Solicitors' Practice Direction D of the Professional Guide ("Practice Supervision"), rule 2 ("Signature of Post"). "… On behalf of the Council, I wish to emphasise that we welcome qualified talent from other jurisdictions, which enriches the diversity of the Hong Kong legal services market and Hong Kong. 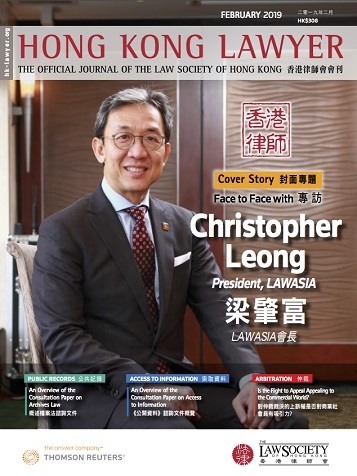 The Law Society will also continue to support the reputation and good standing of Hong Kong as an international legal services hub." The speech was the first to be given by a female President of the Law Society at the Opening of the Legal Year in Hong Kong. It has the hallmark of a President who listens. In my letter of 11 January 2019, I reported that the Law Society had received over 200 responses to the consultation document issued on 23 October 2018. A general review of the responses shows there is generally no objection to the proposal regarding the increases in fees and to the fundamental principle that people not qualified as Hong Kong legal practitioners should not practise, or advise on, Hong Kong laws. In the circumstances, the Council has resolved to proceed with the proposed legislative amendments relating to the increases in fees and to withhold the other legislative amendments pending a detailed analysis of the relevant responses received in the consultation. We will keep members informed of the progress."